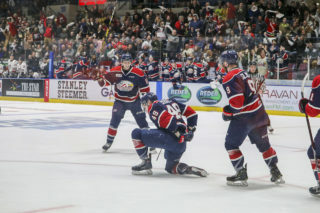 Owen Tippett was firing on all cylinders Wednesday night, netting his second hat-trick of the season as the Saginaw Spirit blitzed the visiting Flint Firebirds 9-2. 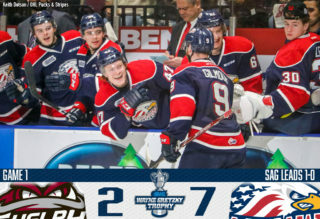 Tippett scored his 25th, 26th and 27th goals of the season as the Spirit earned their fifth straight win, improving to 8-0 against rival Flint on the campaign. 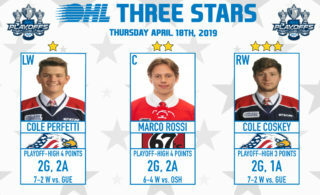 Tippett has 17 points (8-9–17) over 16 games since joining Saginaw in early January and a total of 50 points (27-23–50) over 39 contests. The Florida Panthers first round pick represented Canada at the 2019 IIHF World Junior Hockey Championship this past January and is two games shy of 200 on his OHL career. The 19-year-old Peterborough, Ont. native is on pace for his third straight 30+ goal season. 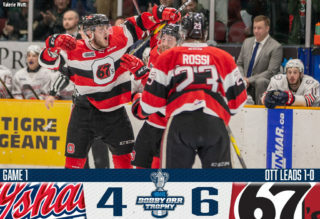 Los Angeles Kings prospect Aidan Dudas scored a pair of nice goals on Wednesday, connecting with defenceman Brady Lyle for the overtime winner as the Owen Sound Attack defeated visiting Barrie 4-3. Dudas finished off an Adam McMaster feed late in the second period as he netted his 21st and 22nd goals of the season to help the Bears earn an extra point. The 18-year-old Parry Sound, Ont. native has 47 points (22-25–47) over 54 games this season. 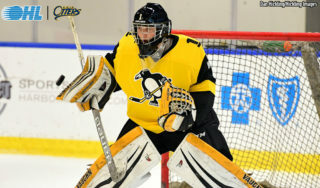 Dudas was Los Angeles’ fourth round pick last summer. The North Central Predators Minor Midget graduate was Owen Sound’s first round pick in 2016. 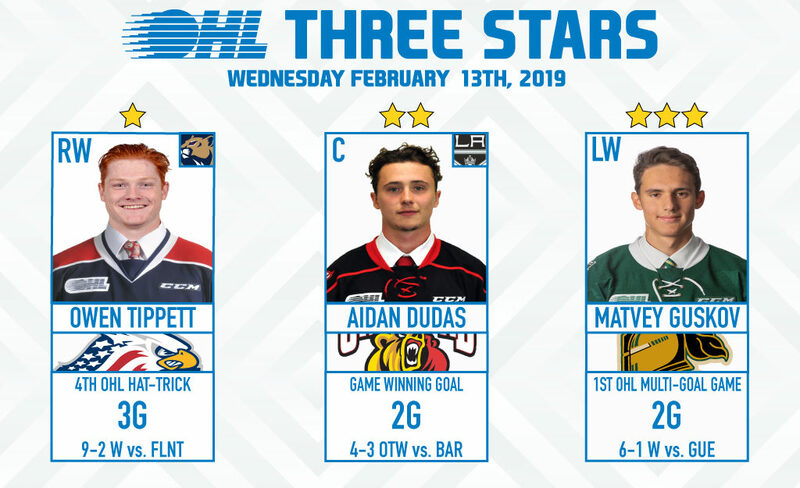 2019 NHL Draft prospect Matvey Guskov scored twice as the London Knights defeated Midwest Division opponent Guelph 6-1 on home ice. Guskov scored his 10th and 11th goals of the season, finishing the game with a plus-3 rating and four shots on goal. The 18-year-old from Nizhnekamsk, Russia has 27 points (11-16–27) over 44 games this season. 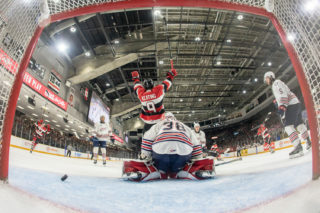 Guskov recently competed in the 2019 Sherwin-Williams CHL/NHL Top Prospects Game in Red Deer, Alta. He was London’s first round (42nd overall) pick in the 2018 CHL Import Draft.